Nobel Prize laureate, Gunter Grass, wrote 'poem' alleging that Israel is “danger for world peace”; Israeli strike could “annihilate” Iran. 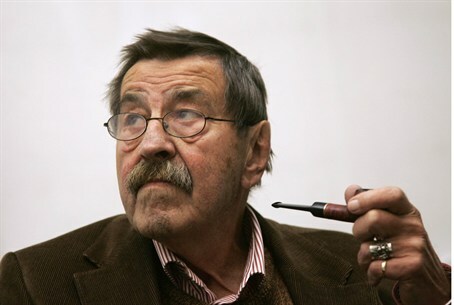 In his recently published poem, Nobel Literature Prize laureate and exposed member of the Nazi Waffen-SS, Gunter Grass, 85, alleges that Israel is a “danger for world peace” and maintains that an Israeli strike on Iranian nuclear facilities could “wipe out” and “annihilate” the Iranian people. In the poem, “What has to be said,” published by several European newspapers on Wednesday, Grass claims that Ahmadinejad is a "loudmouth" and that Iranian ambitious to acquire nuclear weapons remain "unproven." He criticizes Germany for selling Israel “another submarine whose speciality is to direct warheads that can destroy everything at a place where the existence of a single nuclear bomb has never been proven.” He asserts that Israel is “endangering the already fragile world peace” and accuses the West of “hypocrisy” with its treatment of Iran. “Grass always had a problem with Jews, but he never articulated this as openly as in this ‘poem,’” he added. “We want to live in peace with our neighbors. And we aren’t ready to take on the role in the way the Germans deal with their past that Günter Grass wants to attribute to us,” Nahson affirmed. In 1999, Grass, who prided himself on being the moral compass of the German people, admitted that he has been a member of the Waffen-SS, sparking public controversy. “I do not understand how someone can elevate himself constantly for 60 years as the nation’s conscience, precisely in Nazi questions, and only then admit that he himself was deeply involved,” Joachim Fest, a prominent German historian, said at the time.